It’s that time of year again for the youth of America. The new fall semester of college has begun for most, and the big move-in day has likely passed us by already. It’s becoming more and more common for move-in day to be a fresh start for students, including new sets of clothing, supplies, and pricey must-have electronic devices. “Kids are taking to college with them everything but the kitchen sink,” said Rosanne Placey, press secretary for the Pennsylvania Department of Insurance, so why is it uncommon to find a college student with renter’s insurance? Renter’s insurance policies are gaining popularity, and it’s a great and inexpensive way to protect a college student’s belongings from disaster and loss. While renter’s insurance policies have been gaining popularity, only 12 percent of college students have renters insurance, according to a survey conducted by insurance rate comparison site InsuranceQuotes.com. That’s a shockingly low percentage considering that the vast majority of adults under age 25 are living on their own. When two-thirds of adults ages 25 to 29 rent their homes, it’s surprising that more college students aren’t taking advantage of cheap renters insurance. Many colleges highly recommend that students renting their homes invest in some renters insurance, suggesting they go to their auto insurance provider for more information on how to set up a policy. 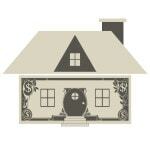 Most insurance carriers can provide coverage for renters, and these plans are usually extremely inexpensive. For less than $200 a year, both students and parents can rest assured knowing that if expensive property is lost or damaged, it’s insured. The coverage a student will need, however, depends greatly on their situation. Full-time students under 24, for instance, are probably covered by their parent’s homeowner’s insurance if they’re still considered a resident of their home. Usually, the student is entitled to 10% of their parent’s coverage for loss of property, but in some cases, the deductible can negate the benefits of insurance. For many, renter’s insurance is the right way to go. Not only is it comforting for parents who may worry about their own policies, but many times, it can be extremely inexpensive for students with a very low deductible. Some colleges either offer insurance or have a connection to a carrier, making it possible for plans that may cost only $50 a year with no deductible. Policies like this one often include liability coverage as well. For parents sending their children away to college or students making it on their own, renter’s insurance is an option that shouldn’t be overlooked. Not only could it potentially save you from a massive financial loss, but it will allow students to build their own financial foundation and take their first steps on the path to independence and responsibility in an impactful and meaningful way. Are you sending your kids off to college soon, or have you already? How do you plan on protecting them and yourself financially from the loss of expensive technology? Feel free to let us know in the comments and share your ideas with other readers. It’s that time of year again, students are going back to college. Is your student safe from loss or damage of their most precious devices? 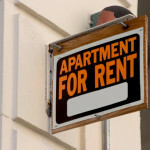 Renters Insurance: Can You Replace Everything in Your Apartment?